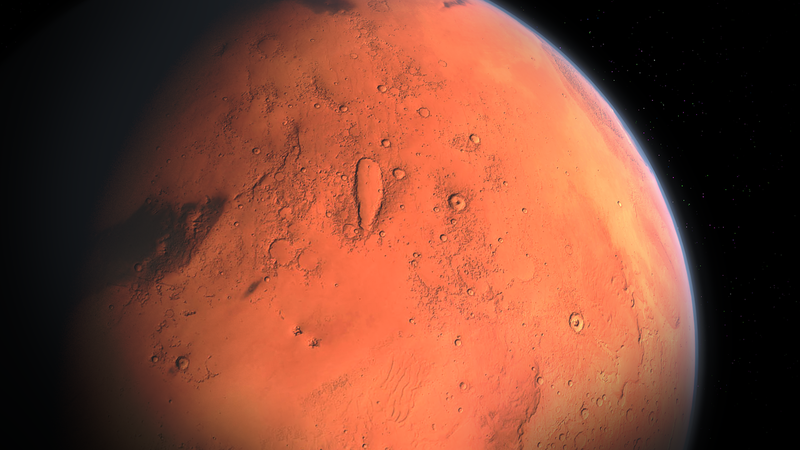 In an obvious attempt to spoil all of our fun about alien life on Mars, international researchers say the findings of methane earlier this month were incorrect. They say that the Martian gas-sniffing orbiter didn't detect any methane, and the upper limits measured were actually 10 to 100 times lower than previously reported. The team says that, to be able to resolve these discrepancies, there would have to be an as-yet-undiscovered process that rapidly gets rid of methane from the lower atmosphere. A second paper may, however, suggest potential reasoning for this discrepancy, saying that rare dust storms on Mars can have rapid impacts on the planet's environment and atmospheric makeup. Early observations from the ExoMars Trace Gas Orbiter (TGO) are published in a pair of papers in this week’s Nature. One paper reports that, in contrast to previous work (including a study published in Nature Geoscience earlier this month), the TGO did not detect methane on Mars, which raises questions about the reasons for these discrepancies. The other paper describes a rare Martian global dust storm, which may help us to understand the impacts of such events on the Martian atmosphere. A key goal of the 2016 TGO mission was to better understand the atmospheric gases present on Mars. The detection of methane, for example, may be evidence of possible biological or geological activity. The TGO also monitors seasonal changes in the atmospheric composition and temperature of Mars in order to refine atmospheric models. In one paper, Oleg Korablev and colleagues describe highly sensitive attempts to detect methane from April to August 2018. They report that methane was not detected over a range of latitudes in both hemispheres during this time period, with an upper limit for methane that is 10 to 100 times lower than previously reported positive detections. The authors suggest that to resolve the discrepancies between their findings and earlier measurements would require the operation of an unknown process that rapidly removes methane from the lower atmosphere. In the other paper, Ann C. Vandaele and colleagues describe the impact of a dust storm on the Martian atmosphere. These dust storms are rare events, but can affect the Martian atmosphere for months, altering the distribution of water vapour and potentially changing the climate. The authors present high-resolution measurements of dust, water and HDO or ‘semi-heavy water’ (water that contains a larger-than-normal amount of the hydrogen isotope deuterium) collected onboard the TGO. Their measurements reveal that during the storm, which started on 30 May 2018, abundances of water and HDO increased quickly. They suggest that this may be the result of warmer temperatures during the storm, causing stronger atmospheric circulation and preventing ice cloud formation, which may confine water vapour to lower altitudes. The findings reveal the rapid impact of dust storms on the Martian environment.